"I felt like this would be a good way to show my love for them." Tessa, Bruno, Cooper and Mia might be the luckiest pets on earth. 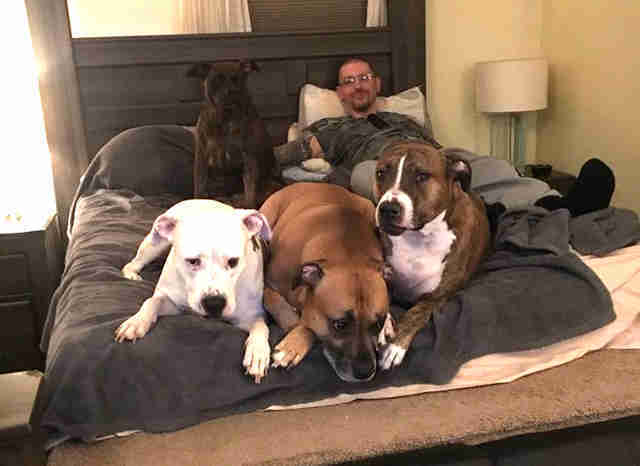 The four dogs live at home in Pennsylvania with their human companion, Aaron Franks. 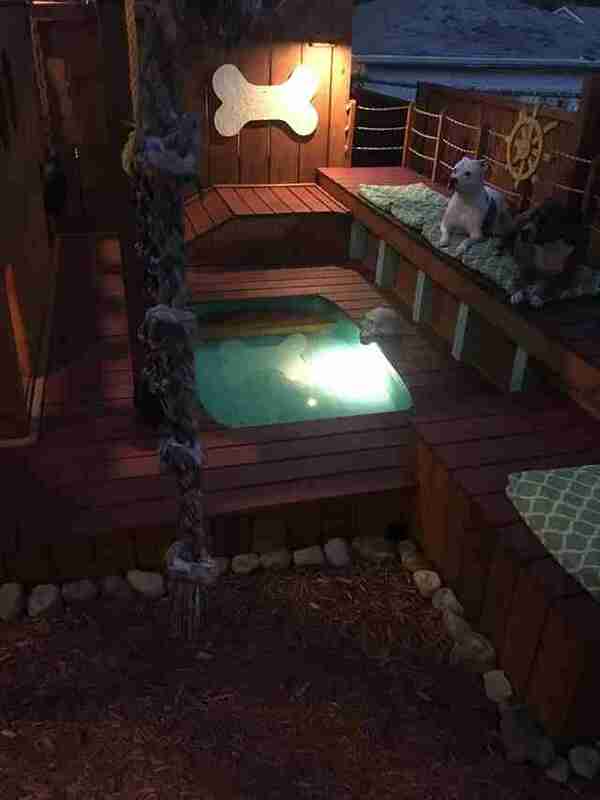 Despite having no real building experience to speak of, Franks just singlehandedly completed an incredibly epic construction project in his backyard — entirely for his pups' enjoyment. 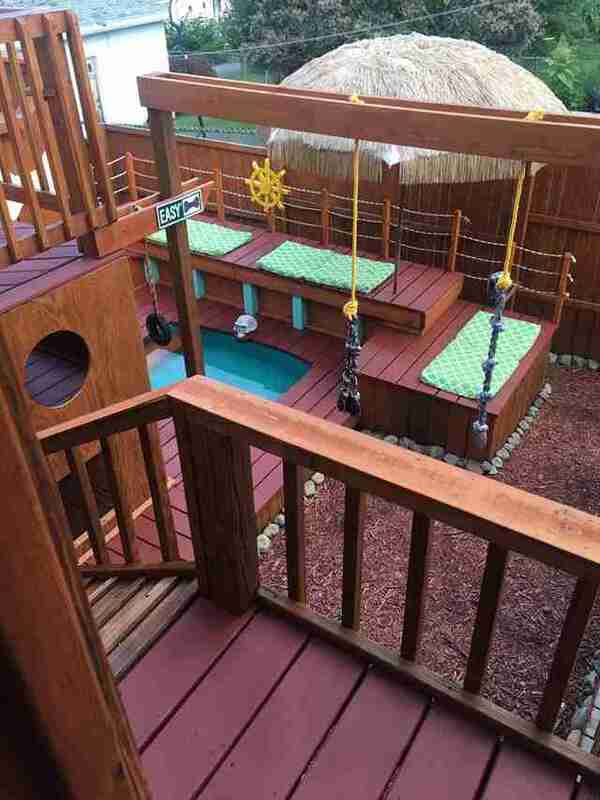 Two years ago, Franks began converting his back deck and yard into a three-story playhouse for his pets — complete with a pirate-themed pool, running water, lights and plenty of space for his dogs to play and relax. He wasn't sure exactly how it would turn out at first; he just started building. For Franks, it was a labor of love. "It just came together as I went along. I just went for it," Franks told The Dodo. 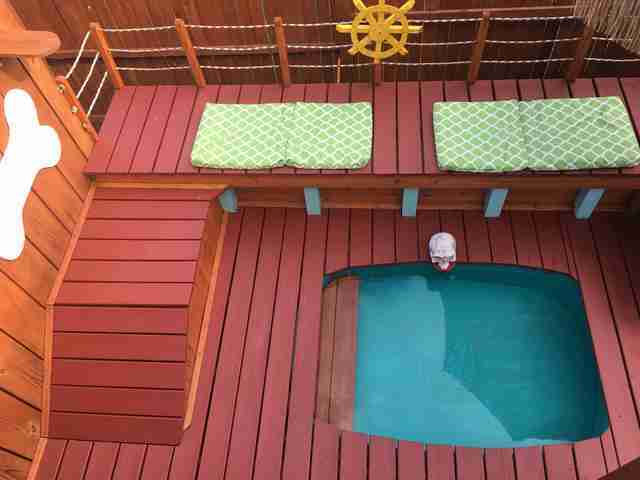 "I worked on it a little bit at a time, sometimes just a few boards a month. 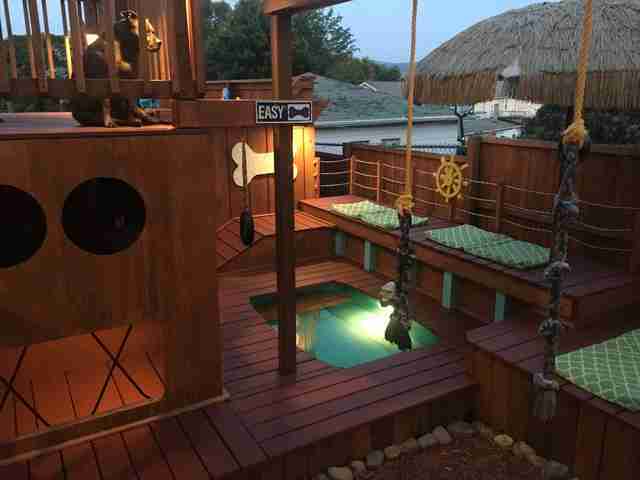 Every time I got a couple of extra bucks, I’d go out there and add to it." 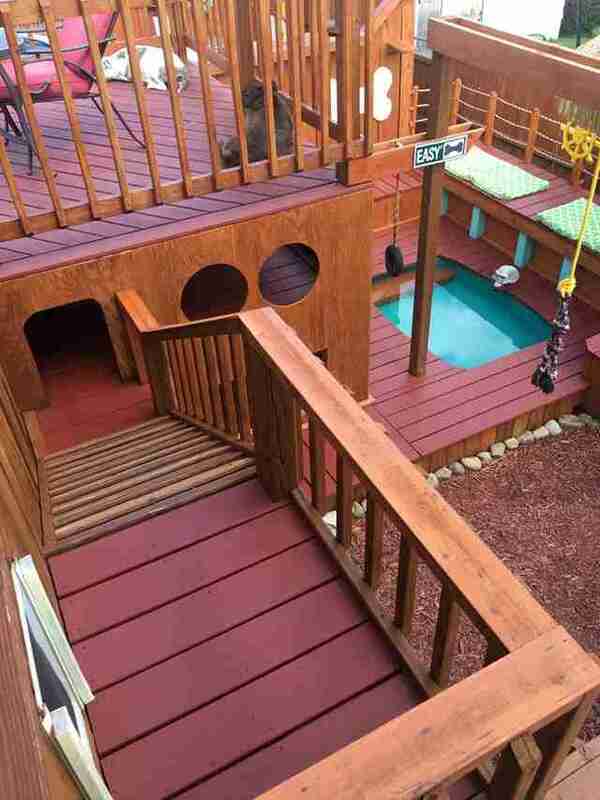 The finished product has everything a dog could wish for in a playhouse. 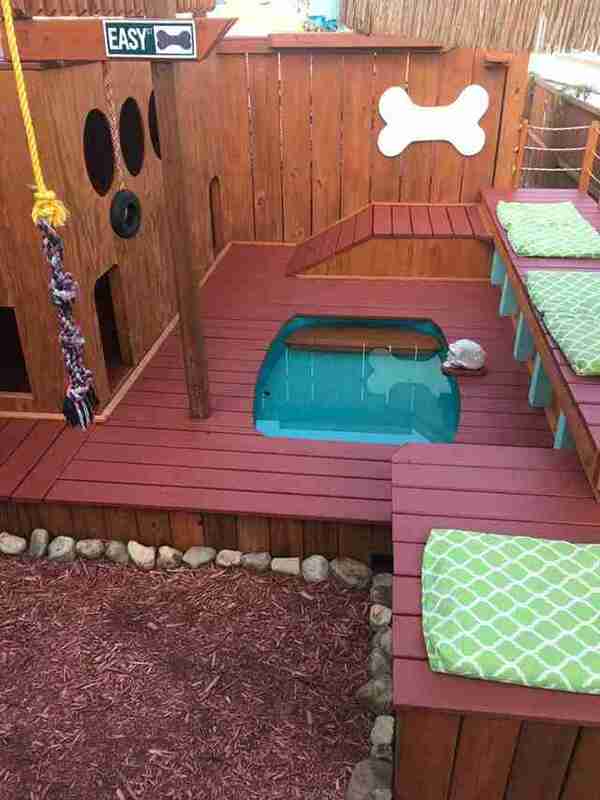 There's even a cozy place for the dogs to lay poolside. 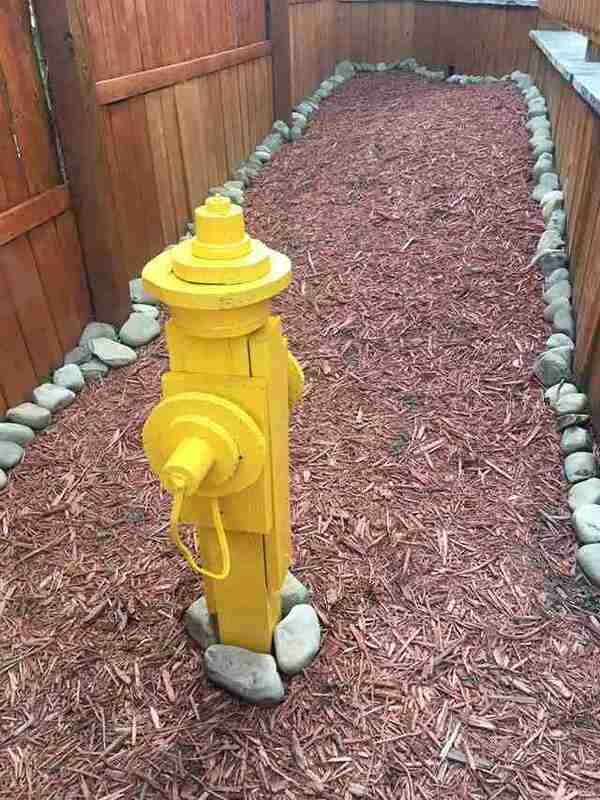 And, of course, a spot for them to do their business. 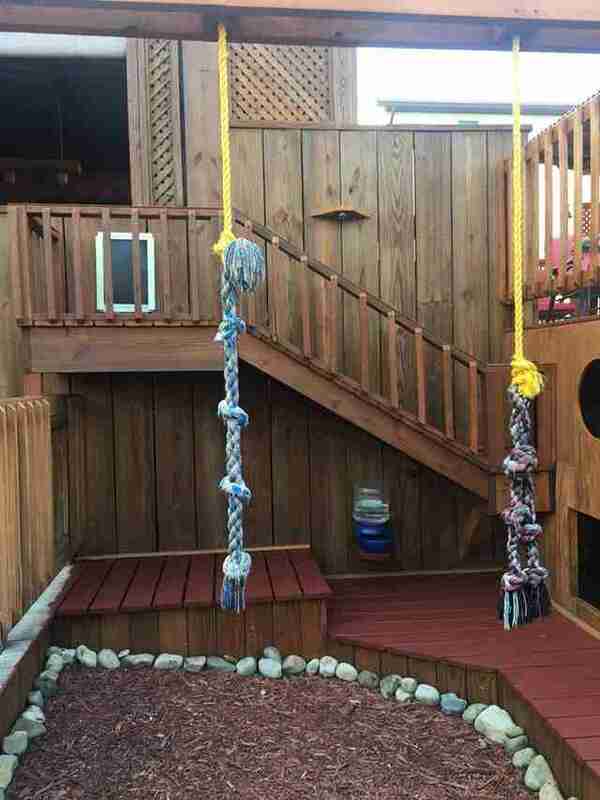 When they're not swimming or lounging, the pups have rope swings to play with, too. All in all, the new construction has been a hit. And when night falls, the whole thing lights up. 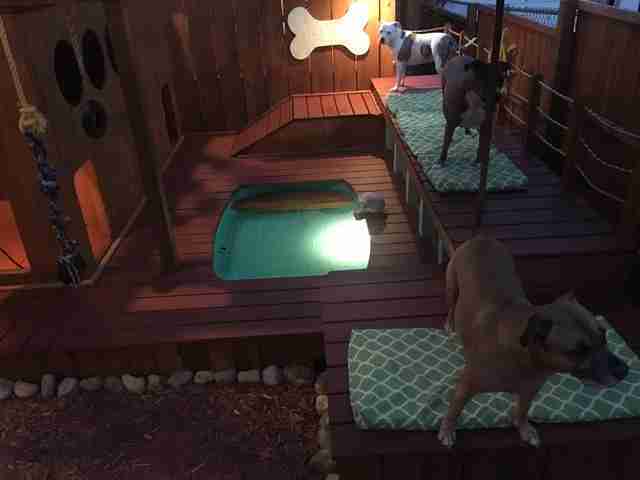 It took a lot of time and effort to complete, but for Franks, it was worth it to make his dogs happy. "I feed them, I water them and walk them every day. They get their exercise and stuff, but I guess at the end of the day I just felt like it wasn’t enough," Franks said. "I felt like this would be a good way to show my love for them. It makes me feel good that I could do that for them." Tessa, Bruno, Cooper and Mia clearly love him for it, too.